Sales: Open daily Nov. 10, 2018 – Jan. 15, 2019 from 9:00 – 5:00. We ship nationwide, UPS and Priority Flat Rate. Corporate & Gift Boxes on request. Shipping ends Dec. 14. 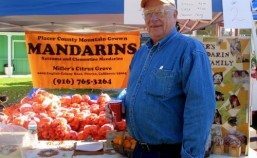 Products: Mandarins, persimmons, jams & jelly, BBQ sauces, honey, walnuts. 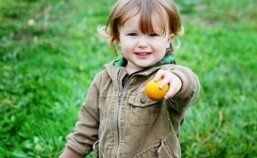 Products: Garlic, onions, Cilantro, Dill, Parsley, Thyme, rosemary, sage, peas, beans, romanesco, cauliflower, carrots, eggplant, peppers, paper lanterns, melons, beets, 50 varieties of tomatoes, asparagus, artichokes, potatoes, mandarins, lemons, limes, sunflower, lavender, French marigolds, marionberries. 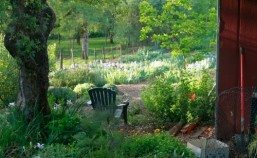 About Us: Maple Rock Gardens is a 30-acre estate garden containing multiple themed garden rooms, one of the largest garden Railroads in Northern California and almost 4 acres of bountiful farm lands. 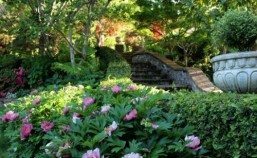 Open for private tours during a portion of the year guests will enjoy meandering paths leading to each of the garden rooms ranging from Japanese style settings to a formal English garden room full of fragrant and delicate blooms. Each area contains unique plant life such as peonies, ferns, dogwoods and iris. Water features both tall and wide and many hidden treasures can also been seen around every turn. And of course, the garden’s namesake: beautiful Japanese Maples. One of the most recent additions to the property is the farm which yields produce and plants year round for both the High Hand Conservatory and Nursery. Colorful and unique vegetables are produced for the High Hand Conservatory Restaurant inspiring fresh seasonal menu options and creating a colorful culinary experience for both your eyes and your taste buds. Many plants are started from seed on the farm at Maple Rock, carefully planted by hand in the rich soil of Placer County and made available for sale upon maturity at the High Hand Nursery. We invite you to schedule a tour or plan on visiting during one of our special events planned each year. 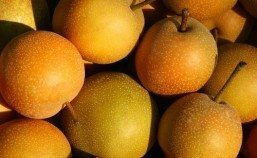 Sales: On-farm, variable hours; Farmers’ market Downtown Lincoln on Thursday nights, 5 to 8 pm; Blue Goose Market in Loomis on Saturdays, 9 am to 1 pm; CSA subscriptions available. Products: Located in Newcastle, Martha’s Gardens is a family farm specializing in ornamental flowers, vegetables, fruit and free range eggs. About Us: Martha’s Gardens is owned by Tom and Cindy Fossum and is named after Tom’s mother who loved gardening and the farm. The farm has been in Tom’s family for 48 years and was once a pear and plum orchard before Tom’s father, Marion, turned it into pasture for raising beef cattle. Farming was once Tom’s early ambition. Circumstances changed and he went into the engineering profession working for a number of cities and counties in California over the past 26 years. Tom still works for a nearby County while helping to run the farm. Cindy was raised mainly in Iowa, Nebraska and Texas. Cindy’s father, James, was a career military man so the family either moved or stayed with relatives. During Cindy’s early years she spent a lot of time at her Grandparents farm in south eastern Iowa where her mother, Ruth, grew up. Cindy’s happiest memories are of the time spent on the Iowa farm. Cindy always had a passion for horticulture and after coming to California in the early 1980’s she began taking ornamental horticulture courses at Sierra College and working for local nurseries. She had to suspend her studies to go to work for the post office as a rural letter carrier. She eventually retired from the Auburn Post Office in 2007. She went back to school and received her Associates degree in 2008 from Sierra College. Martha’s Gardens is six and a half acres of rich Placer soil in the bottom of a small valley along Brennans Road in Newcastle. 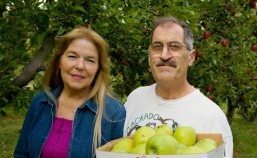 After the death of Tom’s parents in 1998 and 2006 the property fell into disrepair so in 2009 Tom and Cindy made the decision to move from their home in Loomis back to the farm to bring the farm back to life. Cindy and Tom work as a team with Cindy providing the creative force and Tom the technical knowhow to bring Cindy’s vision to reality. This has worked to transform the property into a series of display gardens surrounding production gardens for the ornamental flowers and fresh vegetables they grow and sell. The production gardens provide growing space for flowers such as Yarrow, Lambs Ear, Lavender (two varieties with more planned), Cosmos, Status, Butterfly Bush, Echinacea, Ornamental Sun Flowers, Gladiolas, Zinnias, Roses and several more that are planned. Vegetables include sweet corn, pop corn, tomatoes, squash (both summer and winter varieties), bush beans, herbs, melons, pumpkins, okra, garlic, peppers (several varieties), carrots, cabbage, broccoli, and cumbers (both pickling and eating varieties). Martha’s Gardens also has a small Nursery and produces house plants, succulents, vegetable starts and herb plants that are sold both on the farm and at our Farmers Market booth. The Fossum’s have also planted a small orchard with a number of fruit and nut trees and there are plans for an area with Christmas Trees in the future. Recently the newest members of the farm family, the chickens, have begun to produce fresh free range eggs. Once we have our producers certificate we will be offering eggs to our customers. The display gardens have a number of diverse themes some of which are a Succulent Garden, Japanese Garden, Fragrant Garden, California Native Plant Garden, Rose Garden, Hydrangea Garden, Herb Garden and Woodland Garden. There are several more planned such as a Biblical Garden and Topiary Garden. In 2012 Martha’s Gardens began selling subscriptions for Community Supported Agriculture (CSA) Harvest Boxes. The CSA boxes are filled with all that is being harvested that week on the Farm with the contents changing as the season progresses. CSA boxes will be available for 2013 in two different price ranges. Like us on Facebook to keep informed as to when we will be taking subscriptions. Martha’s Gardens is a California Certified Producer and has their Nursery License to sell Nursery Stock. 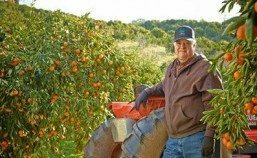 The Fossum’s have truly found their passion and calling and enjoy sharing their farm with visitors. If you want to visit the farm and gardens we are located at 2925 Brennans Road, Newcastle or you can call us at (530) 305-5062. Hours: 9 – 5, late March to late Nov.
Products: Vegetable plants including heirloom tomatoes, true local honey, cut flowers, jams (made from our farm fruit) and heirloom roses. About Us: Jackie is a Registered Dietitian and Certified Horticulturalist. She has a Masters Degree in Nutrition and a degree in Environmental Horticulture. In addition to being a Master Gardener and a Master Food Preserver, she is an active member of the local Iris Society. Her passions include gardening, water coloring, nutrition and sharing her love of nature. Rick is a veteran educator having taught at Colfax High School for over 30 years. He is also a professional photographer and a part-time instructor at Sierra College. This year Rick became a Master Gardener through UC Davis Cooperative Extension. 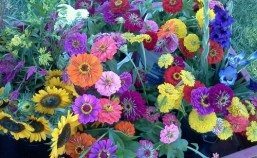 Meadow Vista Flower and Berry Farm is committed to providing fresh, quality organic produce and plants. 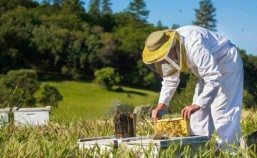 In addition, the Browns have formed networks with local beekeepers, artists and fellow organic farmers. 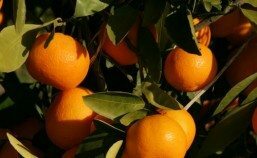 Sales: Please call for mandarin availability. Sales: Open during harvest season (early Nov. – mid Jan.) Mon-Fri 9:00 a.m. to 5:00 p.m.